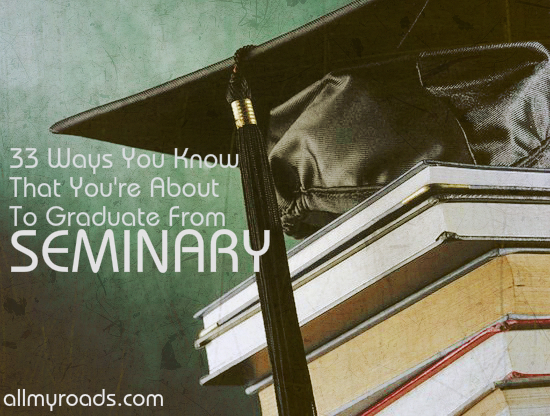 Because you’re about to become a seminary graduate. Which just kinda means that everyone expects you to know how to explain Revelation and you’ve yet another institution calling to ask for money. Okay, so it means a bit more than that. Just a bit. Dry campus = dry theology. And it’s been a long three years. 5.) This is what happens when you think of no more meetings in your favorite professor’s office. 8.) You have frequent freak-outs at the thought of being called “Master of (ANYTHING)”. Because it just sounds absurd. Heck, you only just figured out how to (properly) make Ramen. And you learned just yesterday that cars require oil changes every now and then (sorry again about the van, pops). Sure, you know a lot about what white, dead guys think about God and sure you can parse verbs in five (dead) languages…but “Master”? 9.) Regardless, you still enjoy correcting people’s pronunciation of Barth. 11.) Listening to Taylor Swift results in an existential crisis regarding your calling. 12.) Every other person you meet asks you if you’ve read The Shack or The Chronicles of Narnia. 20.) You listed “God” as a character reference on your resume. 21.) …the same resume on which you also listed “Fantasy Football Manager” under “Additional Skills”. 22.) 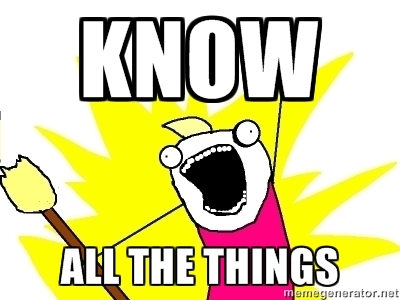 You have at least 25 books that you purchased for class, never read, and don’t plan on selling. 23.) At least one friend has asked you to proofread their Greek tattoo. 27.) Your car’s engine sounds like the grade on your last exam looks (#senioritis). But that’s not (entirely) true. You went to seminary because you felt called. You went to seminary because you believed that God had something to teach you. To teach you through flash cards, paradigms and endless pages of reading. Something to teach you through the classes, lectures, office hours and review sessions. Something to teach you through community, through friends, through brothers and sisters from across the globe who came to seminary to learn something. Just like you. You came hoping to become capable. You leave feeling humbled. Humbled by grace, humbled by questions, humbled by the knowledge of all you don’t know. You came to seminary hoping to become a leader; you leave hoping to become a servant; a servant of God, a servant of others, a servant of the Gospel story which you leave desiring to tell. But as you leave the hallways, classrooms and campus housing; as you hug friends, thank professors and swap high fives with your old study partners; as you pack up your books, pack up some more of your books, and (dear heavens!) pack up more of your books; as you venture forth into the world, into schools, sanctuaries, workplaces and churches; as you graduate from seminary and continue on your journey, you do so knowing that a part of you will always call this place home. Because you may be graduating. But you’ll always be a seminarian. Which is to say that your alma mater is calling. And they’d like some money. does anyone ever realize what I tag my posts with? Next Post Sunday Quotes: Why Are We Reading?